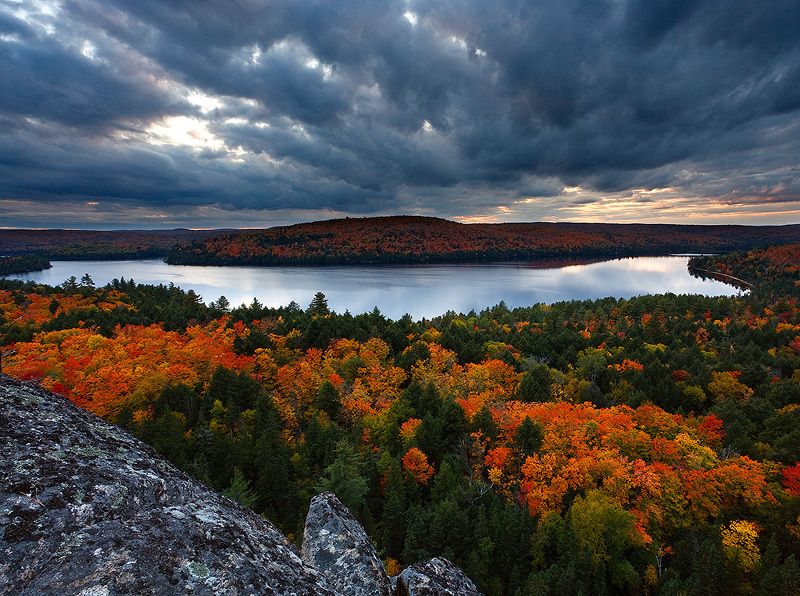 A land of thousands of lakes and streams, where the northern coniferous and southern deciduous forests meet, Algonquin Provincial Park is world famous for its intense and varied show of spectacular fall colors. • Streams and waterfalls adorned with vibrant autumn colors. We meet at the East Gate of Algonquin Provincial Park at 6 pm on September 24th (27th). We then drive together to our hotel, and go out for dinner, where we have the chance to get to know one another. 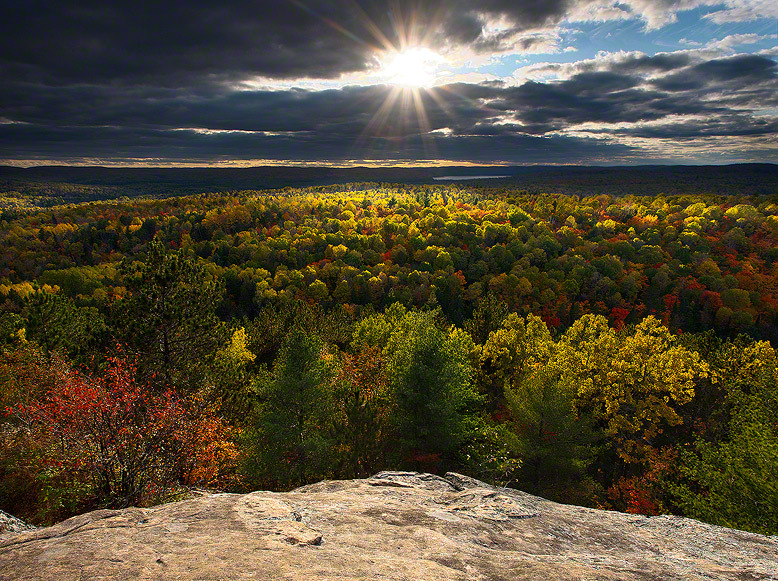 We will spend the next 2 1/2 days in Algonquin Provincial Park, photographing sunrise and sunset and the golden hours of light that follow or proceed. I will take you to areas I have identified as the most promising for rewarding photography. 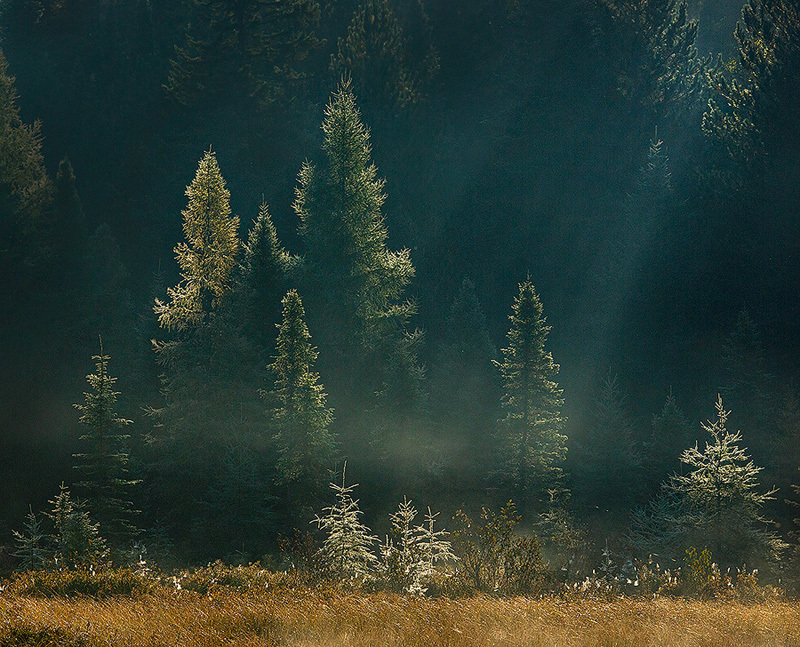 On our morning shoots we leave before dawn to visit lakes as well as marsh lands where I will advise and assist you on photographing the beautiful interplay of light and fog or mist at the water’s edge, so common at this time of the year. 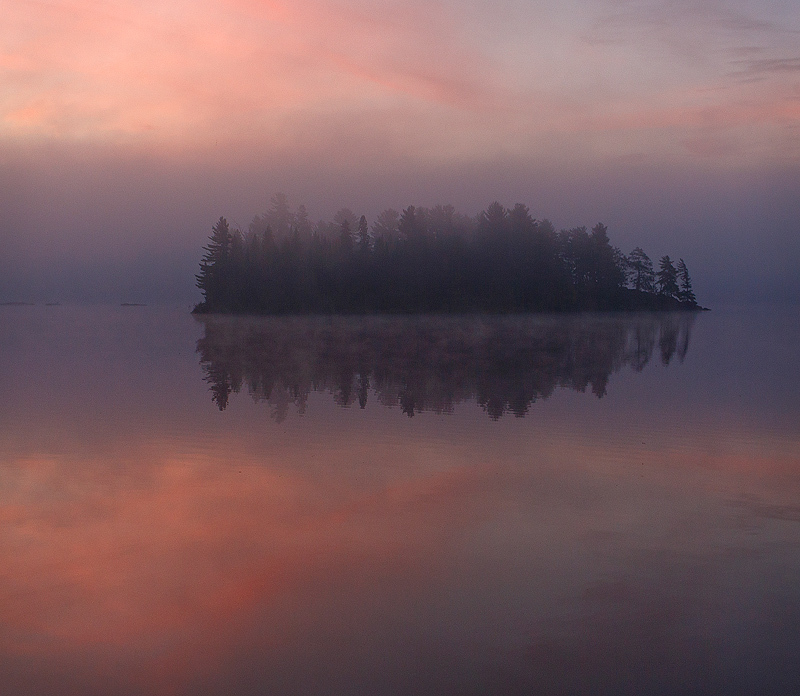 Following each morning shoot, we have the option of a full breakfast in or outside Algonquin Provincial Park followed by lessons on processing, digital workflow and creative skills such as composition and developing a vision. After lunch and a break, we set out for our sunset shoots of grand vistas, which will involve some hiking. Weather permitting, we will be photographing past sunset on both days: One night we learn how to photograph the stars at twilight, for that amazing combination of warm afterglow and starry skies. Another night we stay on to photograph the full night sky and learn how to capture star trails. After our sunset or night shoots we return to our hotel for a well deserved dinner and break. During the workshop we will also spend time photographing rivers and waterfalls and, time permitting, practising compositional techniques for photographing trees and foliage. After lunch on the third day, there will be a session recapping what we have learnt during the workshop and a review session of those images we have not yet had a chance to have a look at. The workshop ends at 2 pm on September 27th (30th). We will be staying at the praised, good value for money, Spring Lake Resort, located only a 10 minute drive outside Algonquin. I have been able to negotiate a discount on what would be a peak season rate. Includes: 2 1/2 days in field tuition, lectures and processing/review sessions. Room and projector rental. 3 nights shared accommodation at Spring Lake Resort. Does not include: Food, drinks, entry fees and transport costs.